The world of EVE Online's capital warfare is most often a numbers game. Alliances commit forces to a fight knowing that victory is almost assured if they have significantly more ships than the enemy. But not all capital pilots and corporations are created equal; some can pull off incredible tactical plays that act as force multipliers, increasing the effectiveness of every man on the battlefield. Rooks and Kings alliance has a long history of fighting above its weight by employing highly effective cooperative strategies, so it's no surprise that four out of my five top capital tactics come from the alliance's awesome PvP videos. I think it's safe to say that if Rooks and Kings brings fewer capital ships than you to a fight, you're still vastly outnumbered. In this week's EVE Evolved, I showcase videos of five awesome carrier tactics, each with a video of the tactic in action. If you've never seen Rooks and Kings in action, check out the incredible video below and then hunt around on the floor for your jaw. The battle that the video below starts at is a perfect example of strategy beating numbers and firepower hands down, and it's all possible due to some awesome fleet commanding. In Sleeper space, wormhole mass limits prevent large alliances from winning fights by just throwing huge numbers of ships at their enemies. Small organisations have flourished here, fighting some incredible wars based more on strategy than politics or numbers. 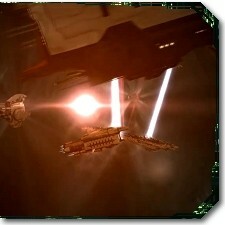 Triage carriers are worth their weight in gold when you're lodging your foot in a wormhole corporation's back door. They're hard to kill quickly without large groups of players, and they can repair battleship gangs very effectively. In the video below, Rooks and Kings pairs a triage carrier with a Bhaalgorn designed for nothing but neutralising enemy capacitor. The carrier feeds capacitor to the Bhaalgorn, which then uses it to destroy the capacitor of enemy Bhaalgorns and enemy capitals on the field. The enemy employed the same tactic, but they were thoroughly outplayed. Deep in the depths of EVE's 2,499 hidden wormhole systems lies the Sleeper menace, a ruthless and technologically advanced AI created millennia ago through the merging of mind and machine. When players first set foot in wormhole space and began probing down cosmic anomalies, terrifying stories emerged of whole fleets being torn apart by Sleeper ships. It wasn't long before players figured out efficient setups for farming Sleeper NPCs in droves, and eventually some groups began using capital ships to farm them in a very odd way. Sleeper cosmic anomalies in class 5 and 6 wormholes have a built-in defense mechanism to stop players from just warping a pack of capital ships into the field and tearing everything to shreds. Warping a capital ship into an anomaly will spawn several additional top-tier battleships, enough to threaten any battleship fleet or lone capital. The first two carriers and two dreadnaughts to enter the field will cause additional spawns, a fact players took advantage of to farm the extra high-end battleships. Specialised dreadnought and carrier setups were used to turn the Sleeper escalating defense mechanism into the galaxy's biggest pez dispenser. Back in 2006, the EVE community knew me as "the tanking guy," and I came up with some crazy ideas like fitting remote repairers to an entire gang of combat ships. 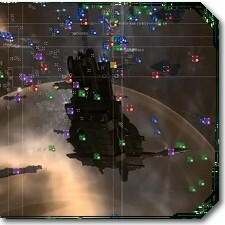 When the idea was used to great effect in the 2006 Alliance Tournament, spider tanking battleship gangs became one of EVE's staple combat strategies. Pantheon is the spider tank's big brother, using carriers instead of battleships and remote capacitor generation instead of recharge-based setups. If the enemy focuses fire on any carrier, all the other carriers focus their remote repairers on it to keep it alive. When Rooks and Kings first unveiled the Pantheon in combat, their enemies mistakenly believed the ships to be triage-fitted. A triage carrier can't be remote repaired and will have poor resistances, so it can be taken down with focused damage. The Pantheon has no such weakness; with no triage modules fitted, remote repairers can be focused on any target. Energy to power the pantheon is generated out of thin air by two carriers with Egress Port Maximiser rigs transferring capacitor to each other. One of the often-forgotten functions of a carrier is to provide mobile refitting services for all nearby ships. 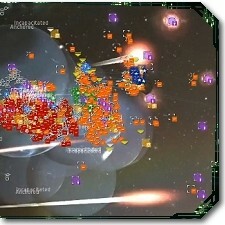 Battleships can refit to smartbomb or energy neutraliser setups in the middle of a fight as required or switch from short to long range weapons. This refitting facility includes other carriers, so a pair of carriers sitting next to one another can use each other's refitting services to swap out modules in the middle of a battle. The most impressive way I've ever seen this used is triage-coasting. In the video below, two Rooks and Kings carriers use each other's refitting services to switch between capacitor-sustainable triage setups and super-hardened buffer fits. When one carrier comes under attack, the pilot switches his capacitor gear for armour hardeners and coasts out of triage mode in an unsustainable mega tank. Once the first carrier is out of triage, the second can keep it alive until the enemy switches targets again and the whole cycle starts over. It's a dangerous strategy that can easily go wrong, but it's absolutely spectacular when it works. An awesome new Rooks and Kings video has been making the rounds this week, and it's actually what inspired me to write this article showcasing some of the alliance's best tactical maneuvers. 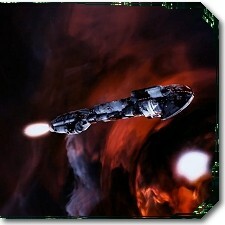 Carrier gangs are often used in starbase defense, sometimes as a force multiplier for a defending fleet and sometimes to repair the starbase shield. In the video below, a Rooks and Kings capital fleet is pinned down inside a starbase that's about to die. The carrier squad is inside the starbase's force field, and once the starbase goes down, they'll be killed. Knowing this, the enemy has set up warp disruption bubbles at the edge of the force field, preventing the carrier squad from warping out. In what's being referred to as the Starburst maneuver, the starbase's shield password is reset so that it flings all ships inside it out at high speed. Even the fastest enemy tacklers can do nothing but watch as carriers speed past them and far out of warp disruption range. Once at a safe distance, the entire fleet jumps out of the system unharmed. EVE PvP is more often a game of chess than a straight fight, and nowhere is this more true than in the middle of a small-scale conflict with carriers in the mix. Tactics and strategy have the potential to trump fleet sizes, especially in the limited-scale conflicts of wormhole space and small alliance warfare. Hundreds of these battles rage every day in EVE between competing alliances, and videos like those above offer us a glimpse into that ruthless world.